Photo appears to have originally been framed. Slight silvering / mirroring around the edges of the photo. There is no photographers imprint on the front face. 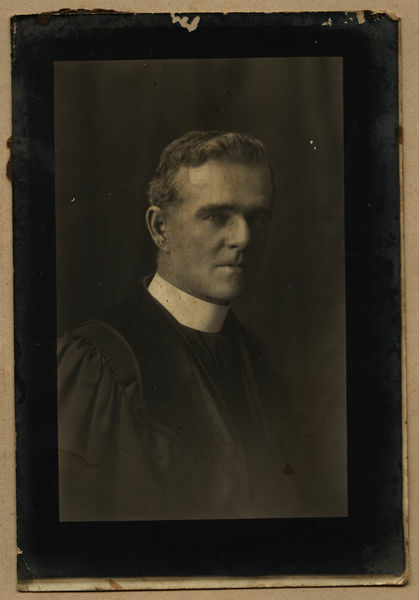 John Hay Goodlet Auld was the eldest child of Reverend John Auld and Georgina Muir. Although the photo has been stuck into the album, there is no imprint on the rear face, hence there is no dateable evidence provided.